Do You Workout? You Might Be Wasting Your Time! If you've been carrying around a few extra pounds around your waist, dedicating yourself to a healthier lifestyle is the best choice you could make. A common thing you might do is to start eating healthy, cut out desserts and soda pop from your diet, and start drinking more water. Great choice! You might also start on a workout routine that incorporates both resistance training (weights) as well as some cardio (such as jogging). Excellent! However, when you get on the scale after the first month of your new healthier lifestyle, you realize that you haven't lost any weight. This leads to discouragement and a drop in motivation, and you end up reverting back to your old lifestyle again since it is so much easier. Doing too much cardio and little or no resistance training. Not doing the right type of cardio. Doing too many sets for an exercise. The first mistake that most people make while working out is that they only perform hour-long cardio sessions. This is not surprising since it is much easier to jog on a treadmill or ride a stationary bike than it is to pick up some barbells or dumbbells. Doing cardio exercises is important since they will help you lose fat. However, cardio does not help you change your body shape. 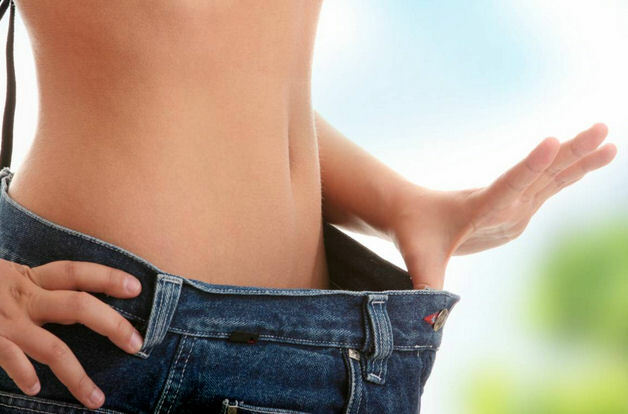 In other words, if you have a pear-shaped body before starting a cardio-only exercise routine, then you will still have a pear-shaped physique after losing weight with that routine. By combining weight training exercises into a well-rounded fitness program with cardio exercises and a nutrition program, you can actually begin to sculpt your body the way you want it to look. Larger body parts can be reduced, and smaller body parts can be increased in size. Additionally, building muscle with resistance training can help you burn more calories throughout the day while also increasing bone density, which helps you age more gracefully. The most common excuse for why people don't work out regularly is that they don't have enough time. If you go into any gym and see what people are doing, you'll find that the majority of people will be on the treadmills or elliptical machines working out for about an hour or so. However, recent research shows that shorter workouts with greater intensity can provide better results than the typical hour-long training routines that most people perform. So that lack of time excuse should no longer apply to you! The goal is to try to perform cardio exercises 3 times per week where you raise your heart rate up to your Maximum Heart Rate (MHR) for 20 to 30 seconds, followed by a 90-second period for recovery. Your MHR is simply 220 beats per minute minus your age. So if you are 30 years old, your MHR is 220-30=190 beats per minute. The MHR can be thought of as a measure of your cardiovascular system's upper limit of work. Warm up for 3 to 5 minutes. Choose a cardio exercise (elliptical, treadmill, or jogging). Go as hard as you can on your chosen cardio exercise for 30 seconds so that you are approaching your MHR. Recover for 90 seconds by walking around gently and your heart rate begins to return to normal. Repeat steps 2 to 4 for three repetitions, and try to work up to eight repetitions over a few weeks as your endurance and stamina increase. Cool down and stretch for 3 to 5 minutes afterwards. A heart rate monitor is extremely helpful for this exercise routine, since manual measurements become highly inaccurate when your heart rate goes above 150. Note that you will be very short of breath, and may even feel light-headed or nauseous, when you get close to your MHR. However, your body will recover within 60 seconds during each recovery period. However, since there are only 90 seconds for the total recovery time, your heart rate will gradually climb after each repetition. By your last repetition, it should be at or above your MHR. If you have a heart condition or have any other health issues, it is best to consult your doctor before starting on such an exercise routine. Individuals of average fitness levels will usually be able to perform this routine with 3 or 4 repetitions, but it will take a few weeks to get up to the full 8 repetitions. When doing resistance training with weights, many people believe that they need to do 4 or 5 sets per exercise. The reality is that 2 or 3 sets is all you need. The key to stimulating your body to lose fat and build muscle is all based on intensity. The last 3 repetitions should be extremely intense and should force you to exert significant effort to complete them. This causes tiny tears in your muscles, which is the key to making your muscles bigger and stronger. A high-intensity weight training workout should be done 3 times per week, and each session should last no longer than 60 minutes. With the proper workout intensity, you should only need to exercise each body part once per week. Try to perform two sets of three different exercises per body part, with only 1 to 2 minutes between sets. This is all that you need to force your body to gain muscle and lose fat. Keep in mind that muscle mass does not increase while you work out. During a workout you are actually tearing your muscles, and the growth occurs while you are resting. A common misconception with weight training is that the more repetitions you perform or the more weight you lift, the better. Unfortunately, this mindset is only causing unnecessary wear and tear on your bones, joints, and ligaments which can easily lead to an injury. The goal with weight lifting should be to make slow and controlled movements so that even a light weight feels heavy. This allows you to squeeze the target muscle during the contraction part of the exercise. A good tempo to follow is to lift weights with a slow 3 second lift, a 1 second squeeze in the contracted position, and a slow 3 second release. While you may have to reduce the amount of weight you use for exercises, you will instead be able to increase your focus on target muscle groups. By correcting the 4 common workout mistakes, you can optimize your fitness program which can help you shred fat, gain muscle, improve your strength and physique, and live a longer and healthier life. In addition to an optimized cardio and resistance training routine, a well rounded fitness program should also incorporate core exercises and stretching into the routine as well. Core Exercises: Our bodies have a number of core muscles located in our back, abdomen, and pelvis. These muscles provide the key foundation of movement for the entire body, so strengthening them can help protect and support the spine. This leads to improved stability and balance as well as making us less prone to injury. Some great forms of core exercises include Yoga and Pilates. Stretching: Performing stretching before and after workouts helps to improve circulation as well as increase the elasticity of our muscles and joints. Try to hold stretches for 2 seconds for all key body parts including the neck, shoulders, arms, back, and legs. This will help reduce the chance of injury while also increasing flexibility. P. De Feo. "Is high-intensity exercise better than moderate-intensity exercise for weight loss?". In Nutrition, Metabolism, and Cardiovascular Diseases. November 2013. 23(11):1037-42. T. Shiraev, G. Barclay. "Evidence based exercise - clinical benefits of high intensity interval training". In Australian Family Physician, December 2012. 41(12):960-2. Dare, Why don't you start with the tips mentioned on this page? Eating right and working out is the key to losing weight fast. How about start with a few exercises suggested above on this page? I need weight loss tips please!